Apple has suffered another blow in its legal onslaught against Qualcomm, this time in Germany. The ruling saw many iPhone models removed from store shelves in Germany immediately after it was declared. After losing to Qualcomm in China, Germany is the second country to rule in the chip maker's favour. The Regional Court in Munich said in its ruling, “The ruling effectively outlaws the offering and placing on the market of the finished product in Germany, including the sale. The ruling impacts iPhone 7, 7 Plus, 8, 8 Plus and the iPhone X. However, the ban only goes into immediate effect if Qualcomm decides to put down a deposit of 668.4 million Euros. This is because Apple still has the option to challenge the ruling in a higher court, and in case they win, the deposit would serve as compensation for any lost revenue. This marks a second win for Qualcomm, who Apple had accused of charging unfair royalties on various technologies in their radio. Apple had alleged that Qualcomm was charging twice for the same technologies. In response, Apple stopped paying royalties to Qualcomm, which incited similar action by many other OEM brands. Qualcomm faced lawsuits from other manufacturers as well in various countries around the world, pushing the company into tough times, which resulted in the aggressive takeover attempt by Broadcomm. The withholding of royalties by Apple has resulted in a massive financial hit for Qualcomm. 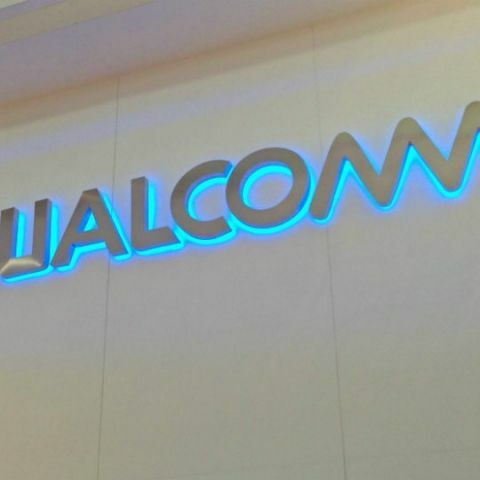 The win in China followed by the one in Germany could spell some relief for Qualcomm. Apple has already switched to Intel’s radios, but even with that, Qualcomm has alleged that Apple stole Qualcomm’s proprietary code and gave it to Intel to help them improve the radio performance. All in all, it's looking like the Apple vs. Qualcomm fight is shaping up to be another Apple vs. Samsung fight, one which is going to last a long time.